What a beautiful cup of coffee! 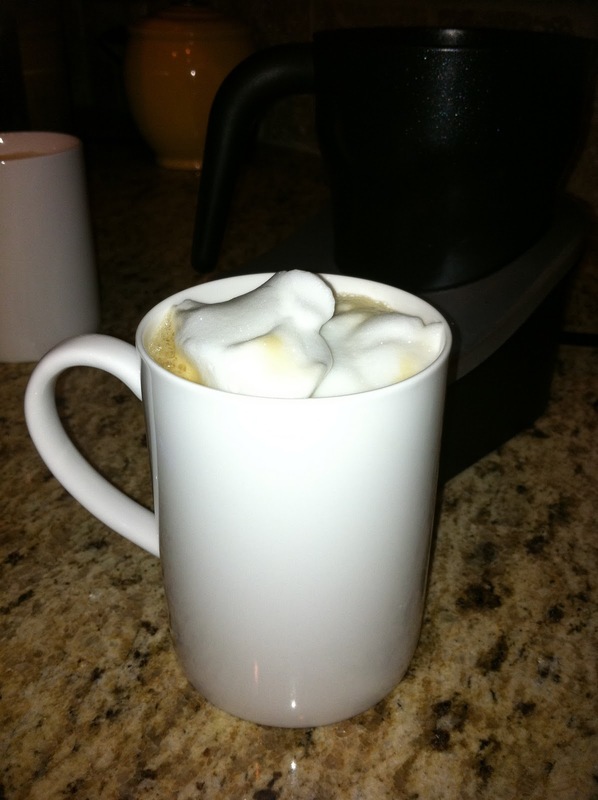 I couldn't have made it without my new Jura Capresso Froth Pro electric milk frother. 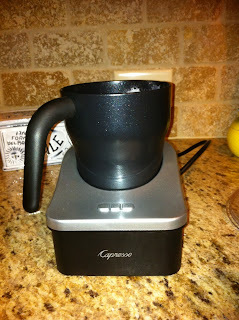 Now I can have latte's whenever I want without having a fancy coffee/espresso maker. I used skim milk to make a creamy delicious froth. Another added bonus is that the kids can make chocolate milk in it too....all by themselves! 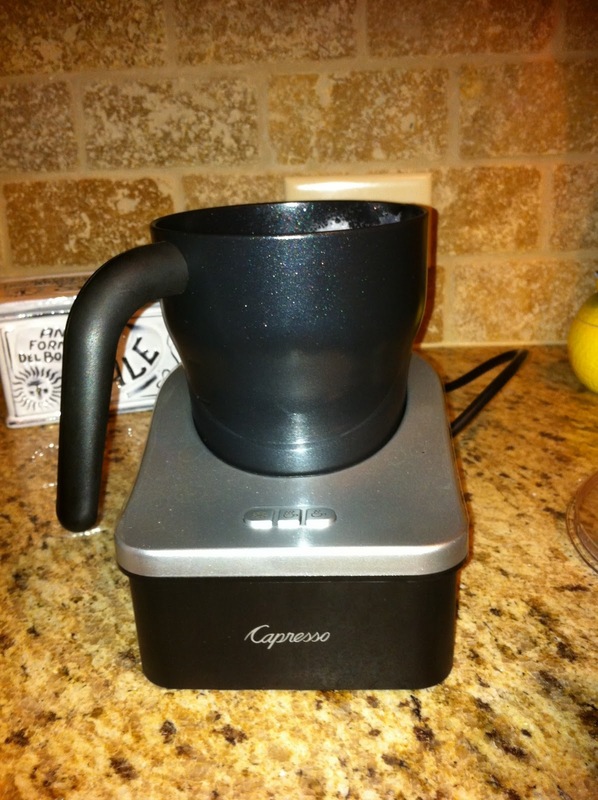 Check it out....it's a must have if you are a serious coffee drinker. Just like Starbucks but without the steep price! This sounds like a paid advertisement! :) That does make your coffee look fancy! Today calls for a celebration!